Last month, a number of wonderful and talented people joined in on my Oodles of Doodles Challenge on Instagram. It was fun, and I really enjoyed getting to chat with people about their daily doodles. 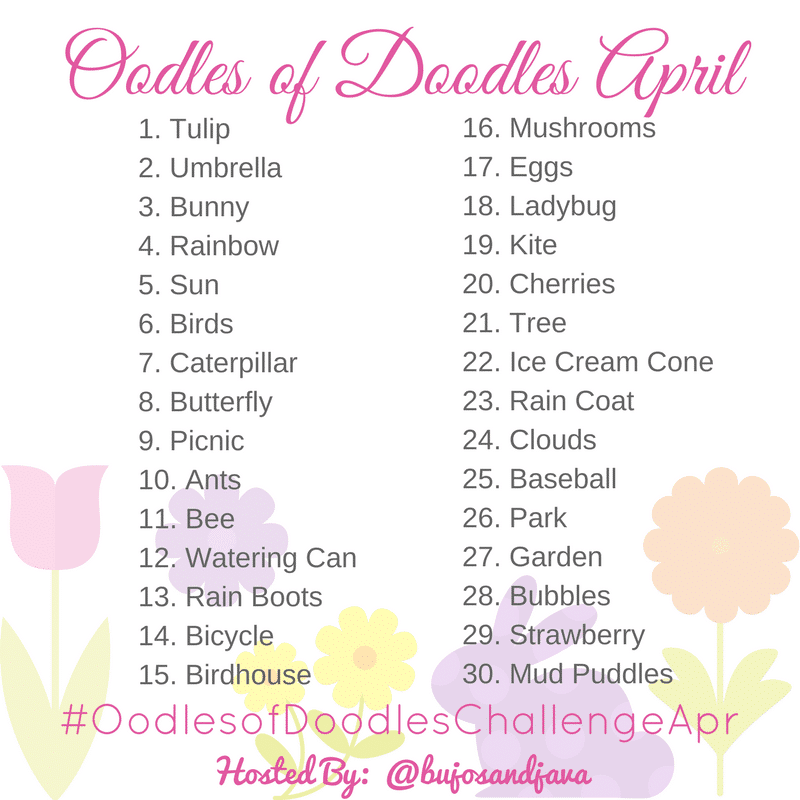 In April, I will be hosting another doodle challenge and the theme is SPRING! 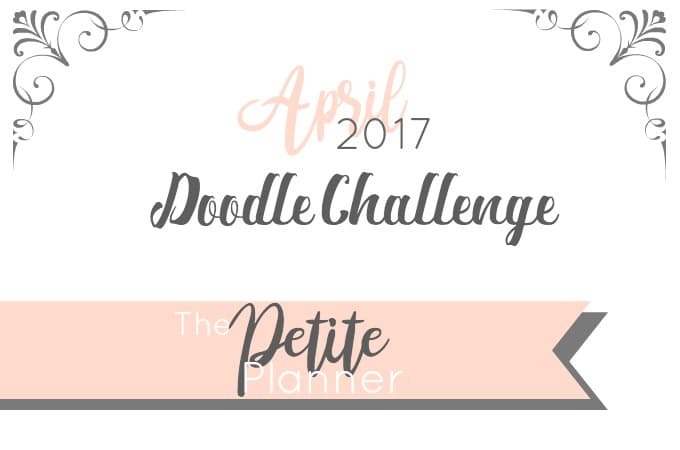 I cannot express my excitement surrounding this doodle challenge in April. I won’t lie, I winged it with March. There was no theme. No rhyme or reason. But nonetheless it was a blast, and I think I might be getting a little better at drawing in small spaces. April is all about springtime. I love everything about spring. The colors, the smell of rain, the flowers, mud puddles, Hunter Rain Boots. I’ve Googled the crap out of springy things. You know, thirty prompts doesn’t seem like that many until you sit down to actually write them. But anyhow, I have a list of 30 Springtime Doodle Prompts for April, and I hope you will join me. Even if you don’t do Instagram, you can still participate. If you have a Facebook, you can post your images there and tag me @thepetiteplannerblog. Don’t do social media at all? Great! Just leave me a comment below letting me know you’re in. I’ll still be rooting for you. We are approaching the end of the #oodlesofdoodleschallengemar and I want to say a huge ‼️THANK YOU‼️ to everyone who’s been participating and posting. It’s been such a joy for me to see your doodles. • Would you want to do it again next month? Is there a particular theme you want to do? I’ve been using Black 01 Micron Pens and Color Pencils for doodles, but I’m debating attempting to use my Tombow Dual Brush Pens for this next challenge. I love how rich the color are, and how seamlessly they blend. If you would like to purchase any of these goodies, the above links are affiliate links to Blick Art Materials. I’ve included them because I find they offer a lot of art supplies at a much cheaper price than even Amazon.